>real time performance digital scoreboard. 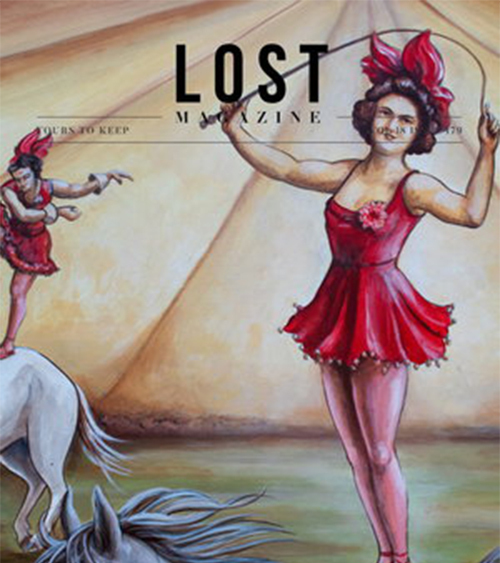 Lost Magazine is a beautiful small-run magazine based in Daylesford, Victoria. The team at Lost wanted to expand their online reach with their website but needed have better insight into where traffic was coming from. This was so they could determine how valuable that traffic might be in order to progress plans of generating online ad revenue for the business. A deep dive into the target audience and advertiser profiles was undertaken first so that the reader journey could be mapped and tracked. With a detailed understanding of traffic sources and site flow, Google Analytics was set up with site goals and KPI's configured to be available 24/7 on a custom designed Digital Scoreboard. The staff at Lost Magazine are now able to see their online site performance anytime they wish without needing to dig through Google Analytics. All their KPI's are easy to understand and are displayed on a single page that allows the user to set the desired time period for analysis.